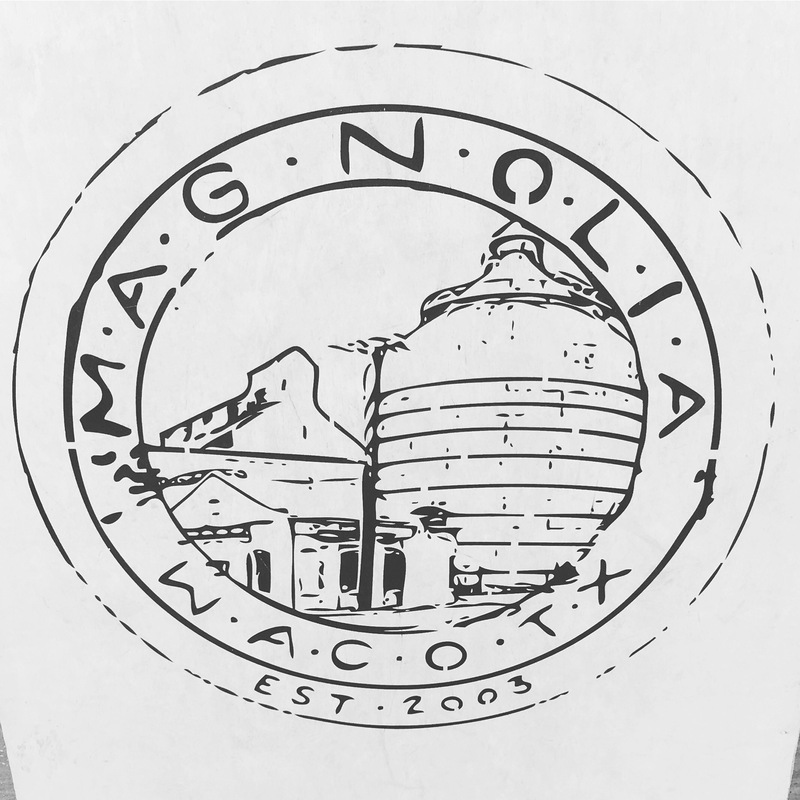 Some friends and I made a pilgrimage to Waco to visit the Magnolia Market. It’s about a 2 hour drive from where I live, which is nothing in Texas, so we loaded up on snacks and made it a girl’s trip! Most of what I fall in love with at Magnolia doesn’t fall into my cheap girl budget. But… These little flower pots were on sale and came home with me! 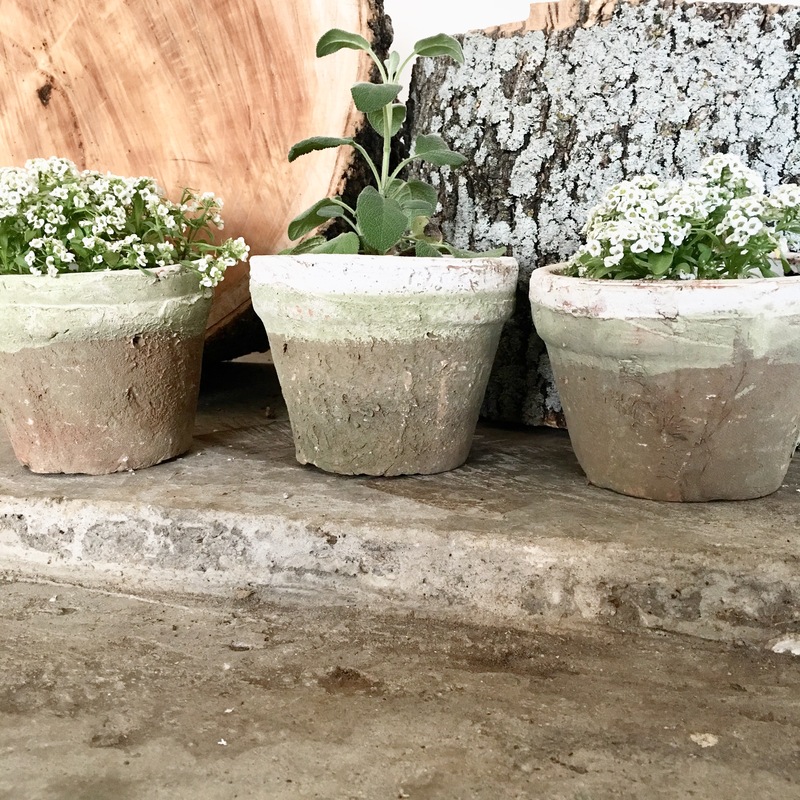 They looked so amazing amongst all the industrial, farmhouse style of the Silos… and there was even a little voice that told me if I bought them, my house would magically transform into the Market. Sadly, that transformation didn’t happen, and they didn’t look as amazing when I stuck them on my traditional-style, granite countertops. Is it so weird that I like how they look on my garage floor the best? At the Market this time of year, they have thousands of life-like tulips out in pots and crates, and I was completely gaga over them. Tulips are my favorite flower, and I’ve been searching for life-like artificial stems for a while now… but at $4 a stem I just couldn’t do it! I would need 50 stems to get the bouquet I wanted, and there was no way I could justify $200 on artificial flowers. The twins need new shoes for crying out loud! 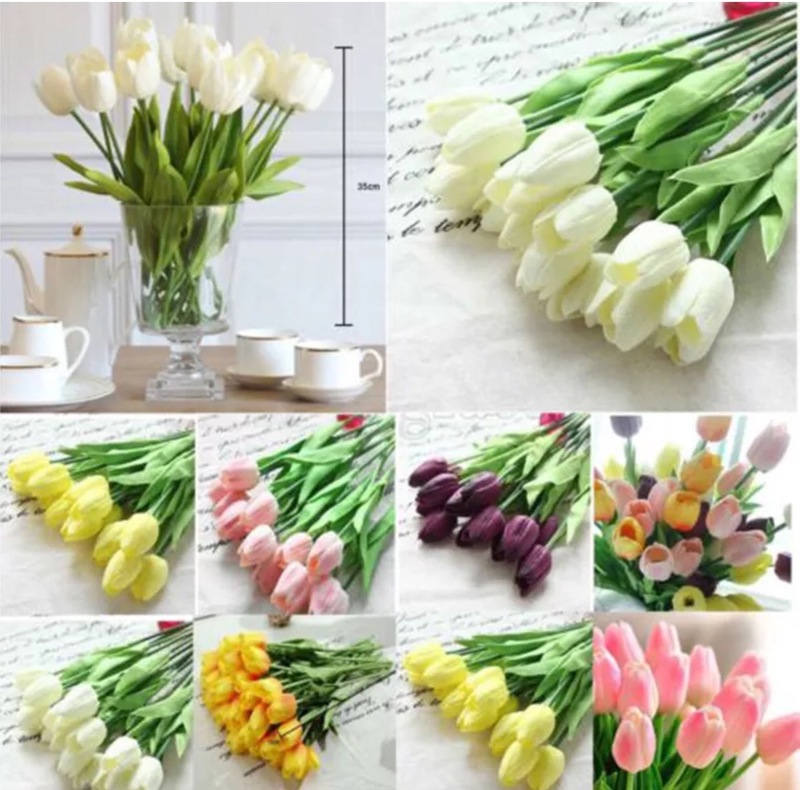 I did a quick search on eBay for artificial tulips and found the exact same stem!! And guess what?! On eBay, they cost about $3.50 (including shipping) for 10 tulips! Everything about these pics looks exactly like the tulips at Magnolia. So I ordered 50 and paid $18!! Boom! The sad catch is that they won’t arrive for two months… and there is a huge risk that they won’t look exactly the same… but for a $182 savings… I’m willing to wait and see! I’ll post again when they arrive so we can see if my risk pays off!